105700-105706 is a high intenstity grade waterproof conspicuity film. This film consists of encapsulated catadioptric glass beads partially embedded in a layer of plastic material. This allows for great reflection even in poor visibility and bad weather conditions. It can be used for long-term traffic control, guidance, warning, and informational signs. 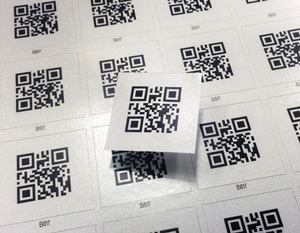 It complies with international standards for retroreflectivity ASTM D 4956 Type III, Class 1.This label material is resistant to most oils, greases, fuels, aliphatic solvents, weak acids, salts, and alklis. It is flexible and has excellent corrosion and solvent resistance. The adhesive has excellent adhesion to metallic surfaces like aluminum and galvanized steel. As part of our new Digital line this product has been primed for printing with Rippedsheets.com proprietary top coats. Retroreflectivity describes how light is reflected off a surface and returned towards the original source. The entrance angle is the angle in which the light source enters the reflective sheeting. The observation angle is the angle between the path of the light source and the observer's sight path. The coefficient of retroreflection measures the efficiency of a retroreflectiv material. The retroreflective efficiency is the percent of light returned back to the source. Typical retroreflective beaded sheetings have a 7% to 14% retroreflective efficiency. Meets ASTM D 4956 specifications for retroreflective sheeting. Type III, Class 1. 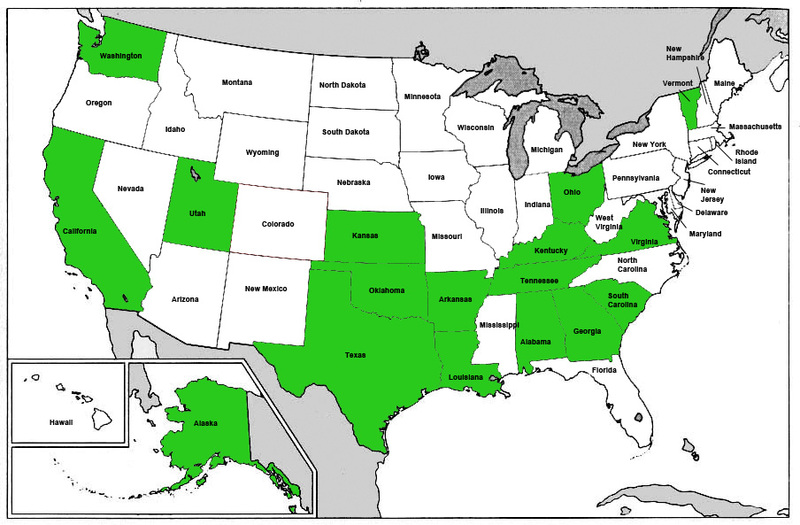 The states in green have approved the use of this reflective material for long-term traffic control.